Hotel Mulia Jakarta invites you to enjoy a fusion epicurean indulgence at Orient8, a fine dining restaurant uniquely serving French and Asian cuisine including Thai, Vietnamese, and Singaporean. 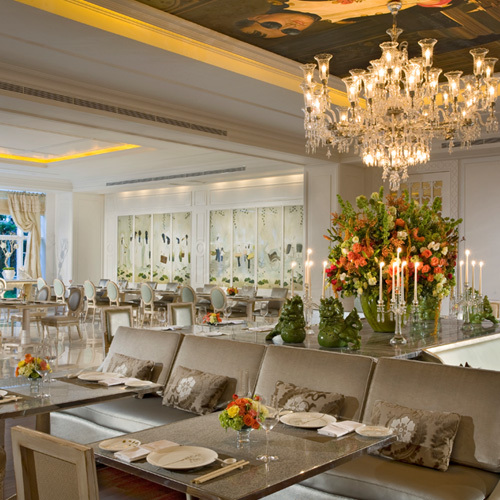 Each culinary concoction is presented to reflect Orient8’s cozy yet elegant French colonial interior style. Choose from the a la carte menu or opt for the buffet to thoroughly sample our chef’s takes on French, Thai, Vietnamese and Singaporean favourites. For a weekend indulgence, join us for our revered Sunday Brunch. Our Bistrot Lunch Menu is also available for business travellers in Jakarta seeking an indulgent option.